It’s National Safety Month, a good time to look at the tools in place to support safe driving, and to evaluate areas that need improvement. This year’s theme of “Keeping Each Other Safe” is especially relevant as businesses have a responsibility to uphold safe driving standards in the cities and towns they serve. This includes other drivers, and also pedestrians, who account for 15 percent of all fatalities in motor vehicle traffic crashes. 1. ELIMINATE THE MOST DANGEROUS DISTRACTION BEHIND THE WHEEL. Distracted driving puts not just drivers behind the wheel at risk, but also the safety of others on the road. Each day in the US, distracted driving is a factor in accidents killing 9 people and injuring more than 1,000. There are numerous sources for distracted driving, but the use of cell phones is by far the most dangerous. The National Safety Council reports that cell phone use while driving leads to 1.6 million crashes each year. Fleet managers must offer solutions that monitor and prevent the use of cell phones while vehicles are moving. With Azuga DriveSafe, an award-winning distracted driving technology that uses Azuga’s GPS fleet tracking device and mobile app, drivers are unable to call, email, text or access the internet while driving. 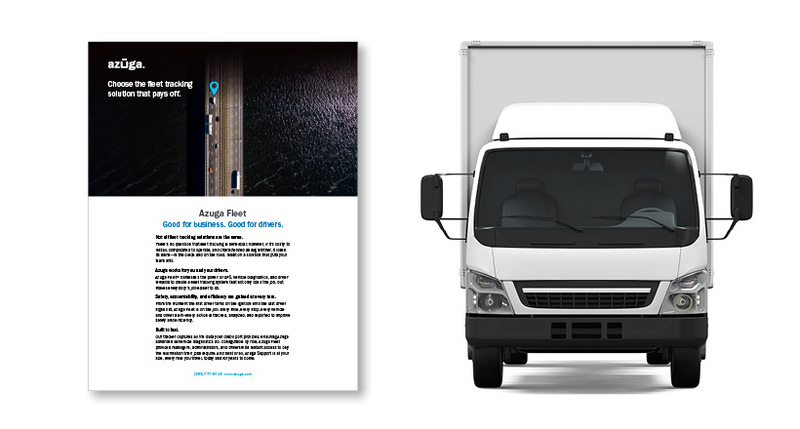 One of Azuga’s business fleet customers reduced their accident rates by 89% after installing Azuga DriveSafe on all of their drivers’ phones, and they have yet to experience an at-fault accident from distracted driving. By eliminating the most common driver distraction, managers can rest assured knowing they are doing their part to reduce the risk of accidents. 2. CORRECT SPEEDING BEFORE IT’S TOO LATE. Most drivers don’t monitor or report their own bad driving habits. Without fleet tracking technology in place, managers wouldn’t know about their risky driving behaviors until after an accident occurs. Excessive speed is a factor in more than 28% of all accidents. 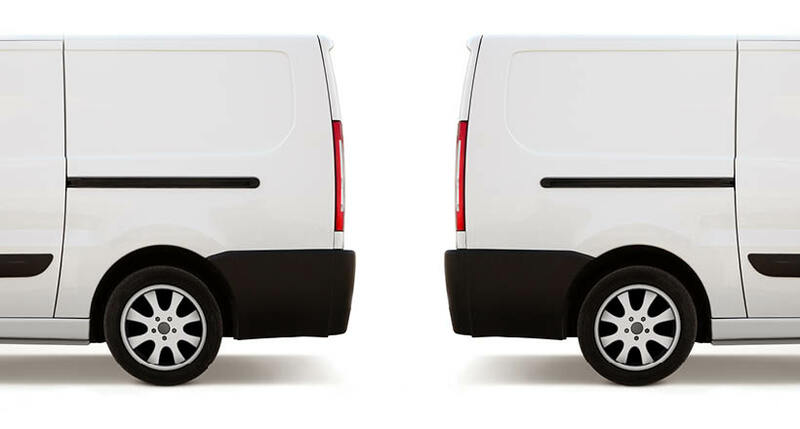 The higher the speed (especially in larger commercial vehicles), the greater the damage to people and property. 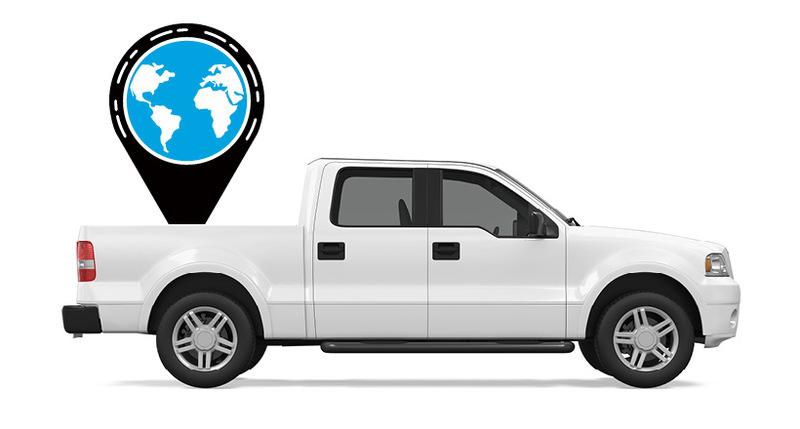 All GPS fleet tracking systems offer a speeding alert feature to track how often drivers are speeding. But it’s incredibly important to know details like when, where, and in what driving conditions is speeding occuring. With tools like Azuga SpeedSafe, fleet managers gets reports of speeding as compared to the posted speed limit. A speed threshold alert of 55 MPH isn’t useful is the driver is in a school zone. Azuga’s fleet tracking solution gives fleet managers reporting and analytics to quickly identify problem areas and train drivers over time to be smarter and safer. 3. BUILD TEAMS THAT VALUE SAFE DRIVING BEHAVIOR & REWARD THEM FOR IT. When drivers eliminate distracted and reckless driving behaviors, everybody wins. Once businesses find drivers that value safety as much as they do, fleet managers need to identify ways to keep them on board. The average turnover rate for fleet-based companies is currently 35 percent, and the cost of hiring a new driver is $800 to $2,000. Azuga Driver Rewards helps businesses engage with their drivers, reward them for a job well done, and increase safety. By rewarding safe driving skills instead of just punishing risky behavior, fleet managers build a culture where employees feel valued. With a rewards-driven fleet tracking solution, drivers are more motivated to follow safe driving behaviors. And gamification built into the system adds fun and competition among team members. By using financial incentives to reward productivity, safety and efficiency, drivers see that they’re not winning and become acutely aware of their bad habits. This makes it much more likely that they adjust their driving behavior on their own.